The Interlogix NX-488 ShatterPro Wireless Crystal Glassbreak Sensor (60-873-95) is a device used for monitoring windows, glass casings and important glass structures. The sensor includes an integrated listening module that detects sounds generated by breaking glass. The NX-488 can detect incoming sounds from a full 360 degree coverage area, and it will function properly even from up to 20 feet away from the glass it is monitoring. Additionally, the sensor's advanced pattern recognition prevents almost all false alarms from occurring with the device. Its sensor is specifically designed to detect the complete pattern of shattering glass across the entire audio spectrum. For optimal performance, the NX-488 should be placed near glass windows or casings so that it can properly detect any breakages that might occur. However, the device should not be placed directly upon the window or casing. This is because the glass being broken might physically damage the sensor. The NX-488 will still be able to properly detect the sound of breaking glass, as long as it is nearby. We recommend testing the sensor after installation to make sure that it is working properly. The NX-488 has a special "clap test" feature that will have an LED light illuminate if you clap your hands loudly underneath the sensor. This is great for testing the sensor without having to use a glass break simulator. Thanks to the device's included mounting plate, installing the Interlogix NX-488 sensor is a breeze. Only a few tools are required to secure the mounting plate onto the wall using screws and wall anchors. The NX-488 can then click into place on the mounting plate. The sensor features a low-profile, allowing it to fit in seamlessly with most environments. Since the sensor communicates at a wireless frequency of 319.5 MHz, it can interface with any Interlogix Simon Alarm System and any Qolsys Alarm System equipped with the 319.5MHz daughtercard. 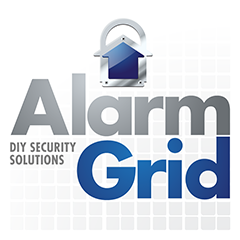 For best performance, the sensor should be used within 100 feet of the alarm system. However, it has been tested to work from up to 500 feet away in an open air environment. The device also comes included with a 3V battery. This battery will require replacement every few years.